Kids are cute and all, but when kids wear Zara? That's another story. I'm not sure how much time you've spent (if any time at all) browsing through the Zara Kids section, but if you have, you know those children are abnormally and painfully stylish. But that's because they're models, right? Wrong. After coming across the Instagram accounts of two infamous Zara Kids models, Lily Bleu Bass and Rue Holden, we realized their adorable style translates into their day-to-day as well. As if cute and cool children weren't enough to make your heart melt, the fact that the two child models are actually best friends in real life will. That's right—their adorable on-camera relationship is so cute because it's genuine. Personally, I don't know what I'm more overwhelmed by: the fact that these kids are 10 times more stylish than me or that their friendship has BFF goals written all over it. 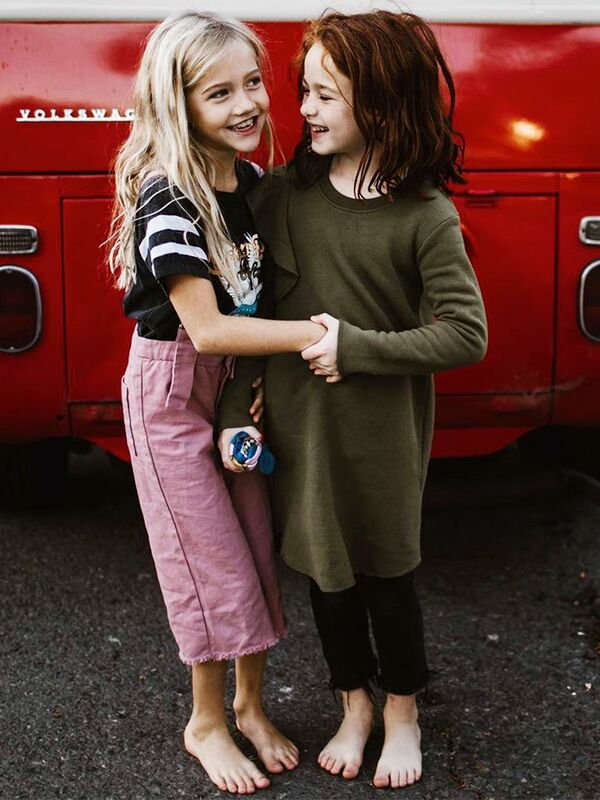 These mini fashion powerhouses have traveled the world together, have starred in international Zara campaigns together, and have the most incredible moms around to help and support them every step of the way. With style, friendship, and encouraging moms behind them, betting they'll grow up to be the next It girls in fashion seems right by me. Below, we've rounded up some of our favorite Instagram shots of the besties together, and if you want to follow their cute Zara-loving BFF lifestyle for yourself, simply check out their hashtag, #rueandlilybleu. One scroll through that and you'll know exactly why we are not okay. Go on to see these two Zara Kids models, Lily and Rue, being stylish and adorable. Next up, shop the under-$100 Zara pieces your fall wardrobe is missing.